New Delhi: The cabinet on Thursday approved a policy that would help digitize cable TV operations across the country and improve the quality of TV channels beamed to subscribers. 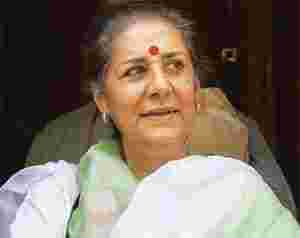 The system will enable existing cable operators to lower their capital investment and operational costs, although the policy guidelines do not mandate either cable operators or subscribers to necessarily obtain signals from the HITS platform, minister for information and broadcasting Ambika Soni said. The government has allowed 74% foreign direct investment (FDI) for HITS service providers, higher than the 49% cap for cable TV operators. Government approval will be required if the FDI exceeds 49%. At present, only Wire and Wireless India Ltd, the Essel Group’s cable firm, and Noida Software Technology Park Ltd have permission to offer HITS services. “Our HITS services will be operational from today, since we have already set up our infrastructure and made the capital investment that is required," said Avnindra Mohan, executive vice-president of Essel Group’s Zee Network, adding that local cable operators had shown “huge interest" in the system. Mohan said it cost about Rs20 crore to set up the infrastructure. About Rs25-30 crore would go towards monthly fees for the satellite transponder.